The Treasury Department is laughing all the way to the bank. Insurance Giant AIG repaid $2.15 billion that it had borrowed through the Troubled Asset Relief Program (TARP). In 2008, the government helped the giant get back on its feet with a $180 billion loan. AIG has been gradually repaying the money. The most recent repayment is the result of the sale of AIG’s Taiwan-based subsidiary Nan Shan Life Insurance Company. One of AIG’s strategies for cutting its debt has been to raise funds by selling assets. “We continue to make progress in helping the Treasury and taxpayers recoup their investment in AIG,” according to AIG CEO Robert Benmosche. Not surprisingly, the Treasury Department is pleased with the transaction. “This is another important milestone in AIG’s remarkable turnaround,” Tim Massad, the assistant secretary for financial stability, said in a statement. “We continue to make progress in recovering the taxpayers’ investments in AIG.” AIG still owes Treasury $51 billion. TARP legislation was passed by Congress in late 2008 to rescue the financial sector, which was on the verge of collapse. Benmosche is still weighing whether to retain a stake in AIA Group Ltd. while repaying TARP funds. AIG sold 67 percent of Hong Kong-based AIA last year in an IPO that raised $20.5 billion. The remaining interest added $1.52 billion to AIG’s second-quarter profit as the Asian insurer’s stock price surged. AIA has soared 19 percent this year and is the number one gainer in the 73-company Bloomberg World Insurance Index. “It’s been a great investment, so they may want to hold onto it,” said Paul Newsome, an analyst at Sandler O’Neill & Partners LP. Now that the Nan Shan deal has closed, AIG’s final significant disposal will be International Lease Finance Corporation, or ILFC, which purchases airplanes to lease them to airlines. The company is considering an initial public offering (IPO) for ILFC later this year. Using Nan Shan proceeds to repay the special purpose vehicle gives AIG “more flexibility as to what to do with ILFC and other assets, too. It adds in general to their cash-flow flexibility.” He is telling his clients to buy AIG stock. Treasury holds a $9.3 billion preferred interest in the special-purpose vehicle after accepting proceeds from the Nan Shan sale, according to AIG. Benmosche may delay or forego selling AIA shares. AIG’s agreement with underwriters lets Benmosche reduce or hedged the stake in October. “We’re looking potentially at monetizing other assets that we have so that AIA might be sold much later on, if at all,” he said. On the Huffington Post, Jason Linkins has a cynical take on AIG’s recent repayment of TARP money. “Okay, I’m just going to stop it right there, because when it comes to ‘AIG’s remarkable turnaround,’ the devil is in the details. 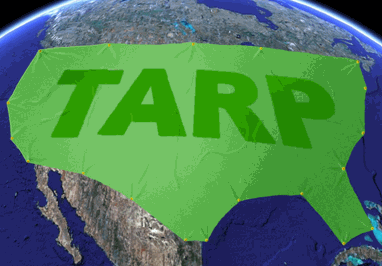 Time and time again we’re asked to celebrate the success of TARP. Back in March, the good news was that, ‘The Treasury currently estimates that bank programs within TARP will ultimately provide a lifetime profit of nearly $20 billion to taxpayers.’ But this profit that the government has turned on the bailout of AIG rings pretty hollow in light of the four different restructurings of the original agreement that the government has acquiesced to since the fall of 2008. The ultimate cost of bailing out Fannie Mae and Freddie Mac could cost as much as $154 billion unless the economy improves, according to a government report. The mortgage giants rescue – which has kept the housing market on life supports – already has cost $135 billion to cover losses on home loans in default. The Federal Housing Finance Agency (FHFA), which oversees Fannie Mae and Freddie Mac, says the most likely scenario is that house prices will have to fall slightly during a slow economic recovery, then rise a bit. 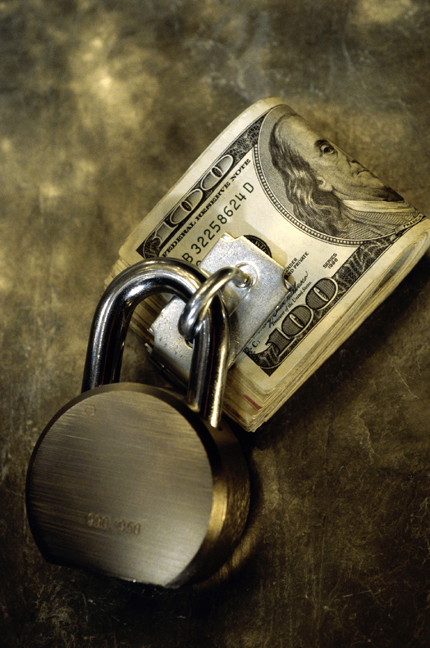 If that occurs, the Fannie and Freddie bailout will cost taxpayers an additional $19 billion. A more upbeat prediction sees the housing market recovering sooner, which would require just $6 billion more for a total bill of $141 billion. Washington, D.C., research firm Federal Financial Analytics believes the FHFA projection provides a sound indication of what the bailout will cost, but “nowhere near a definitive picture of it.” Fannie and Freddie issued a joint statement that said “It’s simply impossible to forecast reliably now how much foreclosuregate will cost.” Fannie and Freddie’s plight stands in sharp contrast to the success of the Trouble Asset Relief Program (TARP), which is now expected to cost just 10 percent of the $700 billion originally forecast. 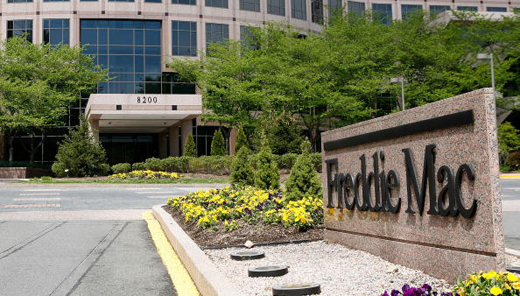 Federal regulators seized Fannie and Freddie in September of 2008 in the wake of the financial crisis. Since then, the government has kept the agencies solvent, with President Obama pledging unlimited support. “From the beginning, the Obama administration has made it clear that the current structure of the government’s role in housing finance, while necessary in the short-term to provide critical support to a still-fragile housing market, is simply not acceptable for the long term,” said Jeffrey Goldstein, Treasury Department undersecretary for domestic finance. In Benner’s words, “Someone like Warren is a shock to that system. She unabashedly sides with consumers. She hates fine print and contracts with ‘gotcha’ clauses. She wants to eliminate predatory loans. And she thinks that it’s okay for bank profits to be crimped in service of a level playing field between borrowers and their lenders. The $700 billion Troubled Asset Relief Program (TARP) is turning out to be a better bet than many thought at first. According to the Treasury Department, the amount of money repaid by banks and other recipients now exceeds TARP’s outstanding balance. In a monthly report to Congress on the program, TARP repayments total $194 billion; $190 billion is still outstanding. A large chunk of that came when Treasury sold 1.5 billion Citigroup shares it had acquired when bailing out the bank, netting $6.18 billion. Created during the darkest months of the financial meltdown in the fall of 2008, TARP originally was intended to purchase toxic subprime mortgage securities from banks. Henry M. Paulson, who was Treasury Secretary at the time, later altered TARP to channel money into banks to stabilize them and provide capital to encourage them to make loans at a time when the capital markets were frozen. TARP funds bailed out 707 American banks – including Citicorp and Bank of America — to the tune of $205 billion. Another $331 billion was used to bail out companies such as General Motors and Chrysler. Banks are making a concerted effort to repay the money to avoid strict executive compensation limits. By May 31, 71 banks had repaid 100 percent – or $137 billion — of their TARP money. President Barack Obama hopes to recoup some TARP losses with his proposal to tax the 50 largest financial institutions. This would net approximately $9 billion annually over 10 years. Congress is considering the legislation, which faces stiff opposition from the big banks. The nation’s small and medium-sized banks – those with under $10 billion in assets – could see a spate of commercial loan failures in coming years, according to a report issued by the Congressional Oversight Panel as part of its supervision of the Troubled Asset Relief Program (TARP). 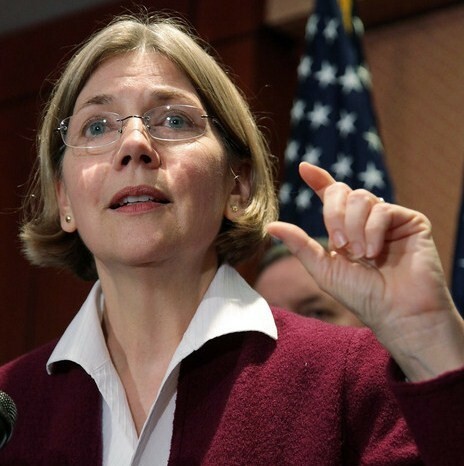 The panel’s chair, Harvard law professor Elizabeth Warren, is “deeply concerned” that commercial loan losses could destabilize many smaller banks – which account for nearly 50 percent of all small business loans. Dennis Lockhart, president of the Federal Reserve Bank of Atlanta, is especially troubled about the interaction among bank lending, small business employment and commercial real estate values. According to Lockhart, a significant amount of CRE exposure is concentrated at smaller institutions, which carry almost half of total CRE loans. Small firms’ reliance on banks with heavy commercial real estate exposure is considerable. The thrust of the new initiative, which likely will cause some controversy, is that the government – through the Federal Housing Administration (FHA) – will help owners who are underwater or owe more than their house is worth to refinance. 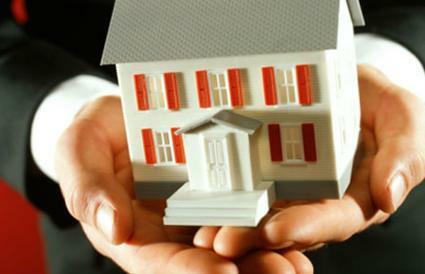 Estimates are that 11 million households or 20 percent of all mortgage-holders, are underwater. Many of these homeowners refinanced during the housing boom and took cash, putting them at risk when prices fell. The homeowners will have to eat some of their losses, but will be in better shape than families who had no option but foreclosure. By insuring the new loan against the risk of default, the FHA gives the borrower a good reason to make payments instead of abandoning the house. The program’s success depends on investors’ eagerness to participate. Over the last three years, the FHA has expanded its mortgage guarantee program to help homeowners cope with the housing crisis. Today, the FHA guarantees more than six million borrowers, many of whom made small downpayments and currently are underwater. Approximately $14 billion in TARP funds will fund the project. The nation’s pay czar is widening his review of how much money hundreds of banks paid their top executives during the 2008 financial crisis. 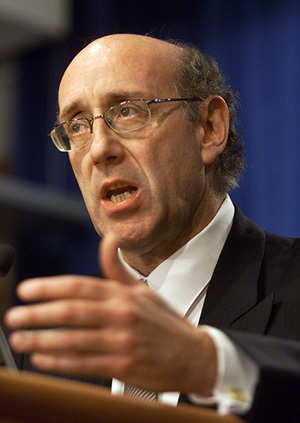 Kenneth R. Feinberg, officially the Special Master for Executive Compensation, is asking for details on compensation at 419 banks that were bailed out by the Treasury Department’s Troubled Asset Relief Program (TARP). Because Feinberg’s authority over compensation only started on February 17, 2009 – when President Barack Obama signed the $787 billion stimulus bill into law and gave Treasury the ability to shape compensation at bailed-out companies – he can do nothing about bonuses paid at the end of 2008. The Congressional Budget Office has determined that the Troubled Asset Relief Program (TARP) will cost the government $109 billion – just 16 percent of the $700 billion set aside to rescue the nation from the great recession. Insurance giant AIG and the auto industry are TARP’s largest beneficiaries. The federal government bought $40 billion in AIG preferred stock and created a $30 billion line of credit for the firm. Earlier CBO estimates that AIG would cost the government $9 billion; since AIG hasn’t paid the Treasury Department the quarterly dividend it owes, the CBO increased its projected loss to $36 billion or more than half of the bailout cost. The CBO estimates that TARP will lose $34 billion from its bailout of Chrysler and General Motors. TARP’s mortgage modification program is estimated to use less than $20 billion, less than half of the $50 billion set aside to help people stay in their homes. The CBO says that fewer people will participate in the program than anticipated. When President Barack Obama announced the program in February of 2009, he said that as many as four million homeowners could reduce their monthly payments to no more than 31 percent of their pre-tax incomes. At the end of February, only 170,000 distressed homeowners had taken advantage of the mortgage modification program. Eleven American banks that received money from the Troubled Asset Relief Program (TARP) originated 13 percent more loans in December than they had the previous month. The Department of the Treasury released this information in its monthly survey of loans made by recipients of the $700 billion government bailout money. According to the Treasury Department, total loan balances fell one percent during the same timeframe. This report does not include statistics from banks that repaid their TARP funds in June of 2009; future reports will not include data from banks that are exiting the TARP program. A total of $178.1 billion in new loans was made during December, according to the Treasury. Bank of America led the pack in originating loans, with $64.6 billion, an 11 percent increase over November. Wells Fargo & Company occupied second place with a six percent increase, reporting $58.3 billion in new loans. Citigroup lent $16.3 billion, an 11 percent increase.